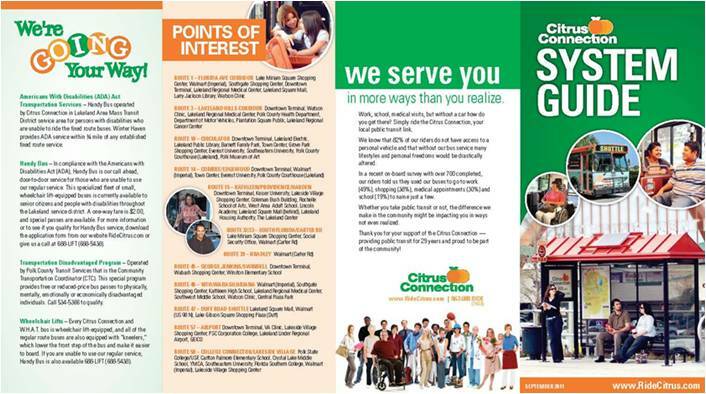 The Citrus Connection needed a keystone message to promote their new fare collection system - the SMARTCARD. 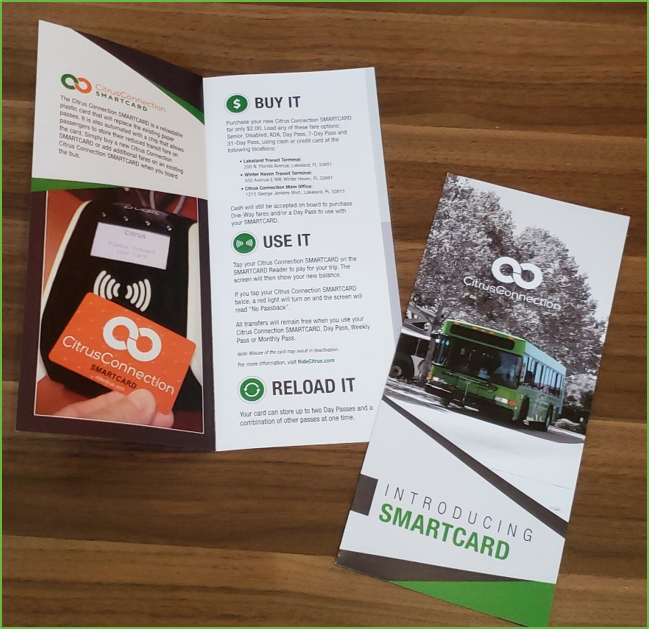 They created this brochure that introduced and explained the use of the card that was to simplify and revolutionize their new fare system. Buy It. Use It. Reload it. 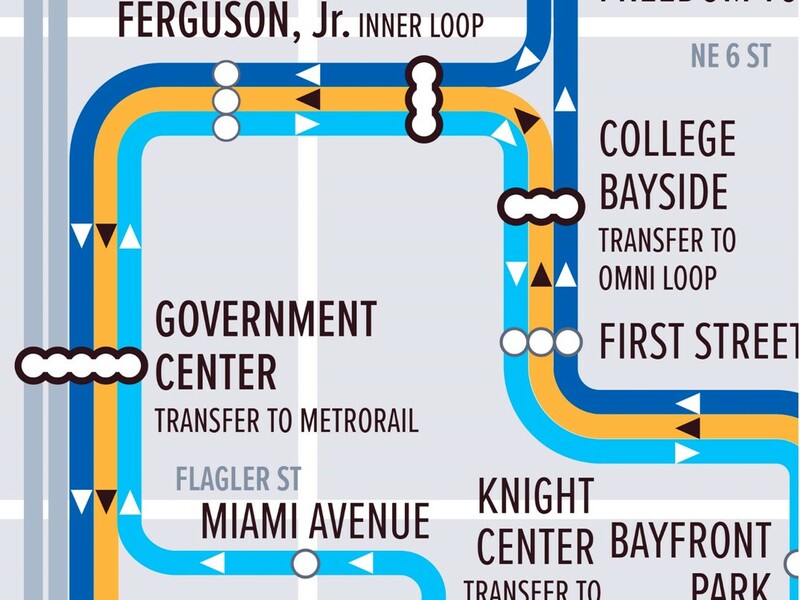 DTPW partnered with the Civic User Testing Group (CUTGroup) Miami to improve the Metromover map. Two separate focus group sessions to collect feedback from system users and non-users. 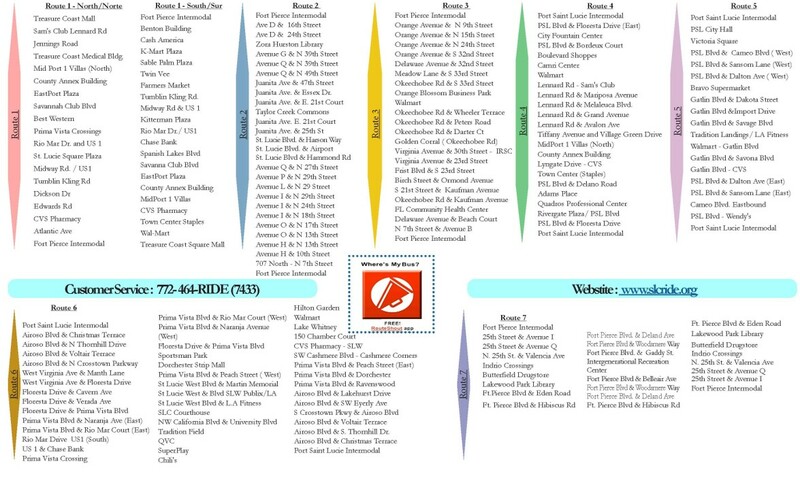 The three-month process resulted in a clearer, bolder map with an easy-to-use list of stations with amenities. The campaign was to assist in improving the rider experience. Large pink decals were placed behind the driver to be seen when boarding the bus. Overhead cards were placed in view of riders to see during their trip and inspire them to be more aware of surroundings. The St. Lucie County pocket rider guide has increased recognition of mobility access within the entire Treasure Coast Region. 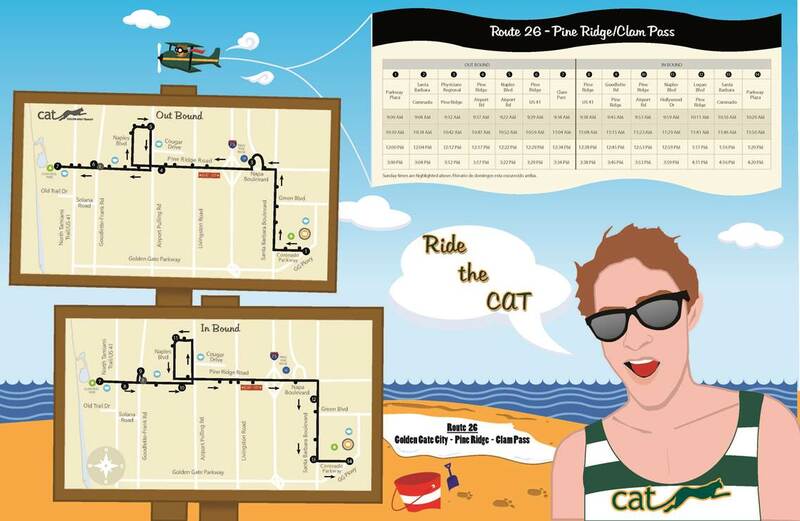 This credit card sized resource contains all fixed routes and bus stops on one side and contains the system map on the opposite side. The map includes not only St. Lucie County but the regional connections to Martin and Indian River Counties. 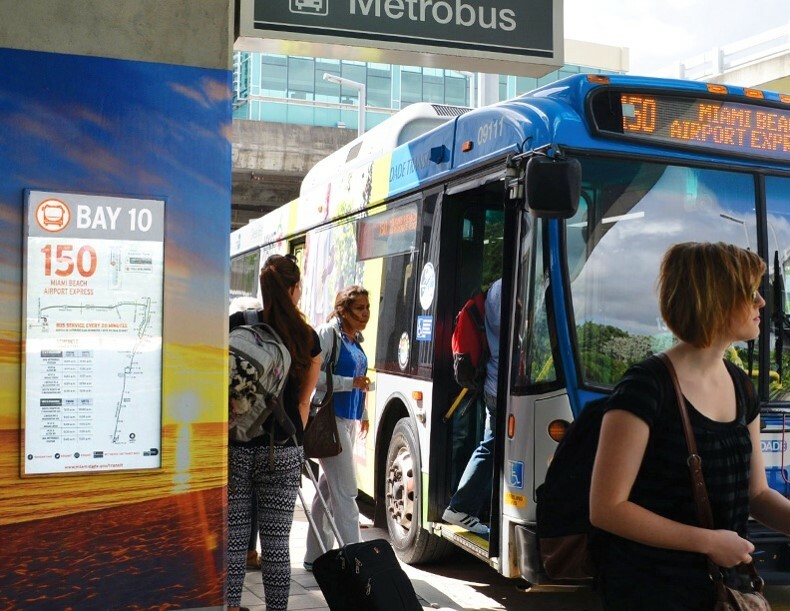 The popular route, providing express service to Miami Beach from the airport, gets a makeover, with easy-to-read frequency charts replacing schedules at the bus stops and in the brochure, “You Are Here” indicators at each bus stop map, and branded bright orange destination decals for easy identification at the stops. Combining three distinctive transit systems in Polk County was a daunting task. Educating the riders and potential riders of how these routes work together in a county the size of a small state was even a bigger challenge. Citrus Connection did it with a comprehensive system guide. 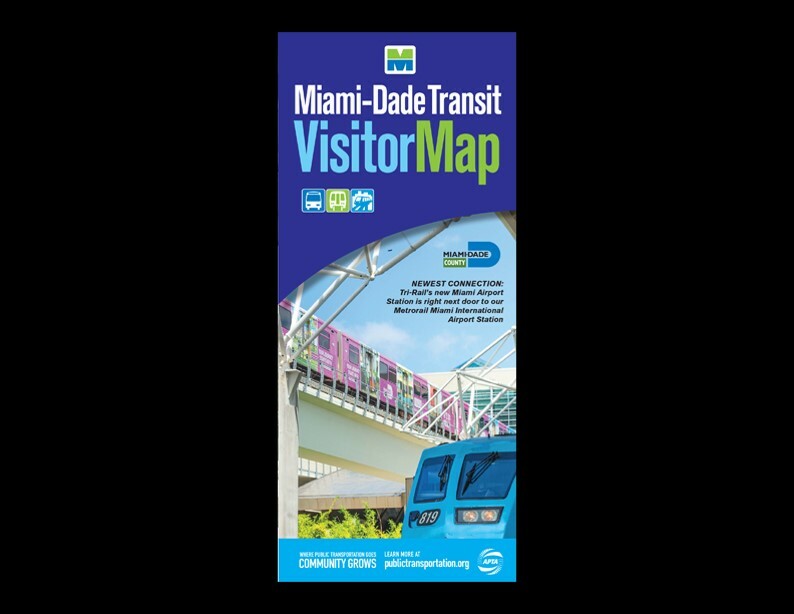 Two years removed from the inauguration of the Miami International Airport Metrorail Station, this brochure received a needed overhaul. Popular tourist destinations all the way to the Florida Keys that are accessible by transit are now highlighted regardless of distance from the airport. LeeTran redesigned its system map in 2015 with the intent of simplifying the presentation of routes and route exceptions, transfer points, and points of interest. The result is a clean layout with bold lines and colors, and expanded legend and easy-to-understand symbology. 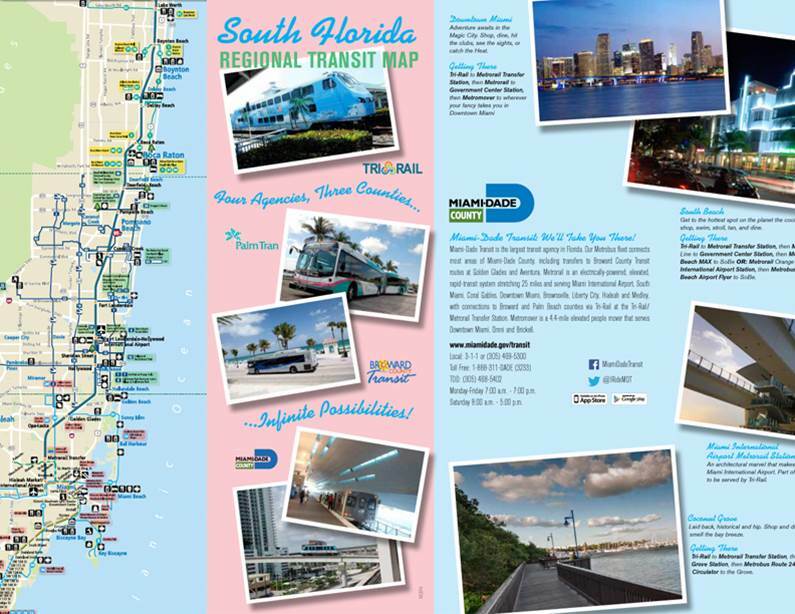 This publication was a major step towards regionalization for public transit in South Florida. Created in cooperation with Tri-Rail, Broward and Palm Beach County’s transit agencies, major tourist destinations easily reachable by public transportation in all three counties are showcased. Contact information for each agency is also provided. This entry consisted of a rider's guide brochure instructing passengers how to use the new Electronic Fareboxes that were installed on all the system’s Fixed Route buses. The guide shows all the features in the fareboxes and how the rider can use it. 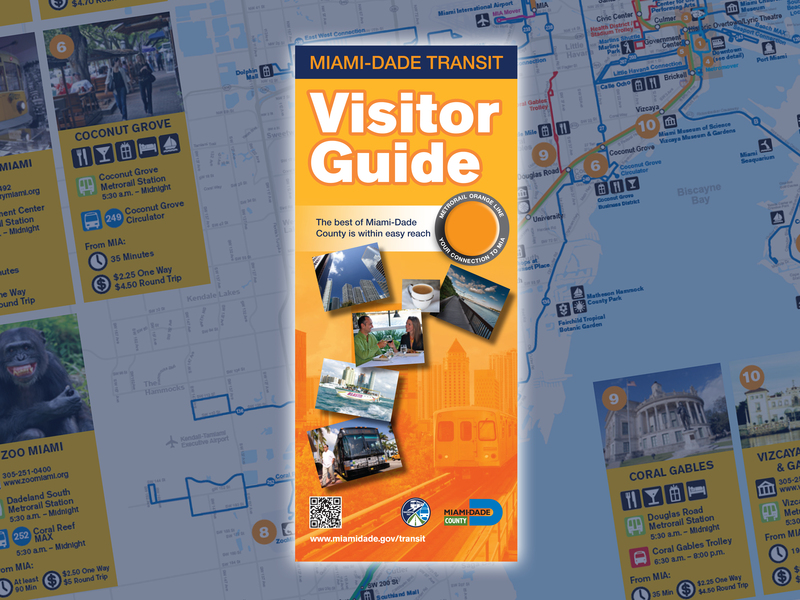 The Visitor Guide was developed for those traveling via Miami International Airport with layover time and looking for restaurants, local attractions and shopping destinations accessible by public transportation. It provides them with the opportunity to explore the city without spending too much time researching options or paying expensive cab fares. The popularity of the publication was evident; its initial distribution of 10,000 in late March 2013 was exhausted after one month. Printing quantities had to be tripled. December 17, 2012 was a monumental day for Polk County Transit Services/Winter Haven Area Transit as it was the day that the SMART Shuttle began to provide mobility alternatives for the ever-growing elderly and disabled population. The easy-to-understand brochure for the innovative dial-a-ride service has assisted the ridership to grow nearly 1,000 percent in seven months. Once the in-house design and printing was complete, public out-reach events where the brochures were distributed and explained were held at independent living facilities through the SMART Shuttle coverage area. Residents, who are dependent on others for transportation were given freedom to travel throughout Polk County thanks to the SMART Shuttle. Target Audience: Residents, Businesses, and Employees of businesses in and around the TECO Line Streetcar System, Tourists, Day-trippers Project Cost: $9,352 Description: The TECO Line Streetcar System runs along a 2.7 mile stretch through three primarily entertainment, business and residential Districts: Downtown Tampa, The Channelside District and Historical Ybor City. Until November, no schedules existed, only hours of operation. As seen in metrics of the HART website, the #2 page in terms of hits and referral pages (from other websites), visitors wanted to know about and trust scheduled times at stops in order to plan their time accordingly. Once the schedules were also posted on www.TECOLineStreetcar.org, the same results were seen. As a result, these collateral pieces were developed. The Coil bound schedule book also included a system map on the inside front cover (including where the ticket vending machines are located along the line (and some points of interest). 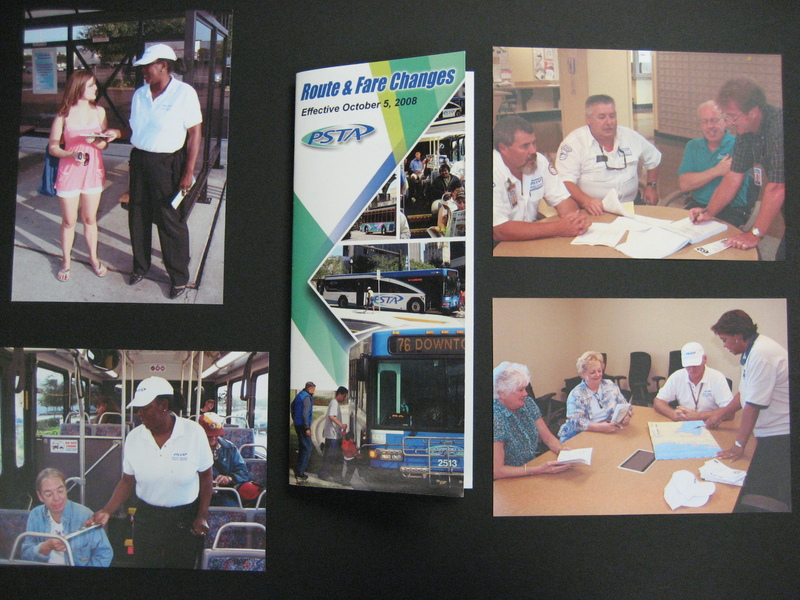 The inside back cover included hours of operations and information about all the different fare structures. 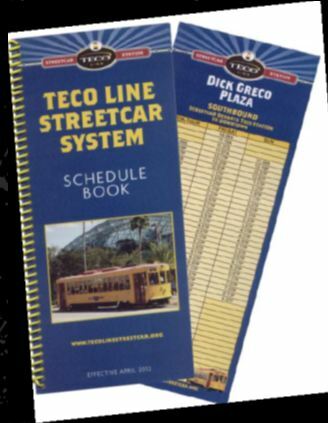 The TECO Line Streetcar System reported monthly on-time performance of 99%, helping to build trust of the schedule station stop times. All the individual schedules for the 11 station stops showed both the Northbound and Southbound schedules and are located at each stop. 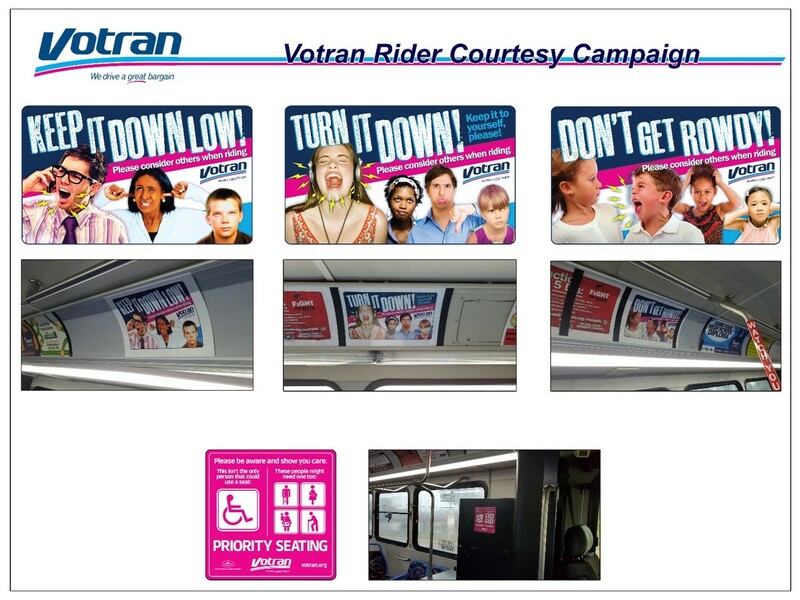 They are also distributed to businesses and residences along each of the appropriate and corresponding station stops. Target Audience: Transit Riders Project Cost: $4,950 Description: MDT updates its Transit System Map on a regular basis. The most recent update featured a photo of a woman with her bicycle entering Metrorail - promoting MDT's Bike and Ride program. 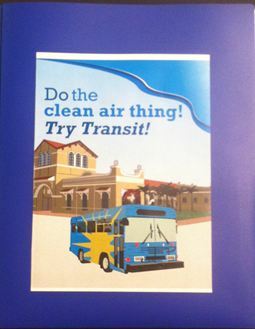 By prominently advertising the program, our very active bicycling community was overjoyed to see MDT's effort in promoting other healthy and environmentally friendly transportation options. 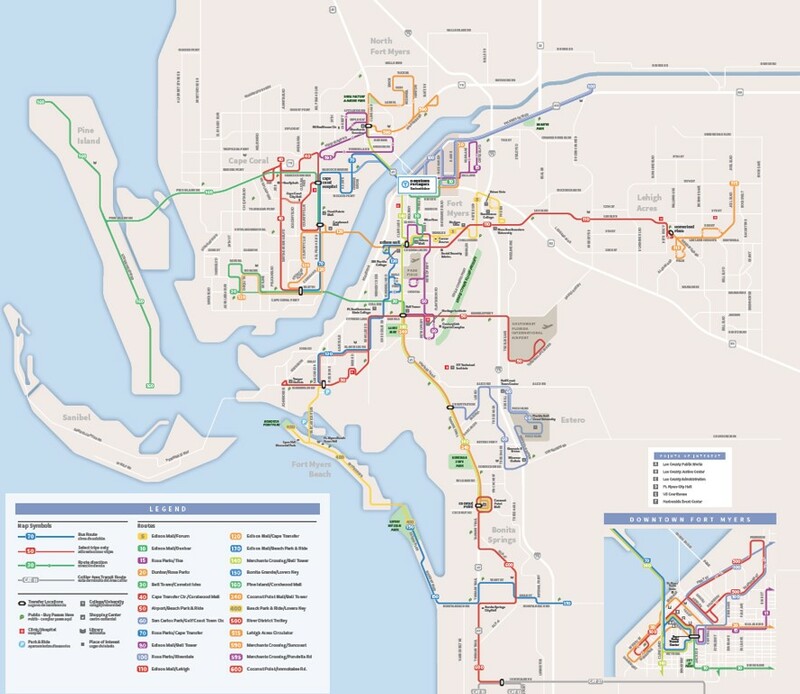 A small survey was taken of many transit and bicycle enthusiasts and their response was very positive toward the Bike and Ride program and the Transit map with its cover art, ease-of-use format, instructions and other important transit information. MDT's System Map is our most coveted publication. Target Audience: Transit Riders Project Cost: $5,400 Description: With recent route changes, a system guide was introduced to riders rather than having 15 individual maps. The change saved over $600. 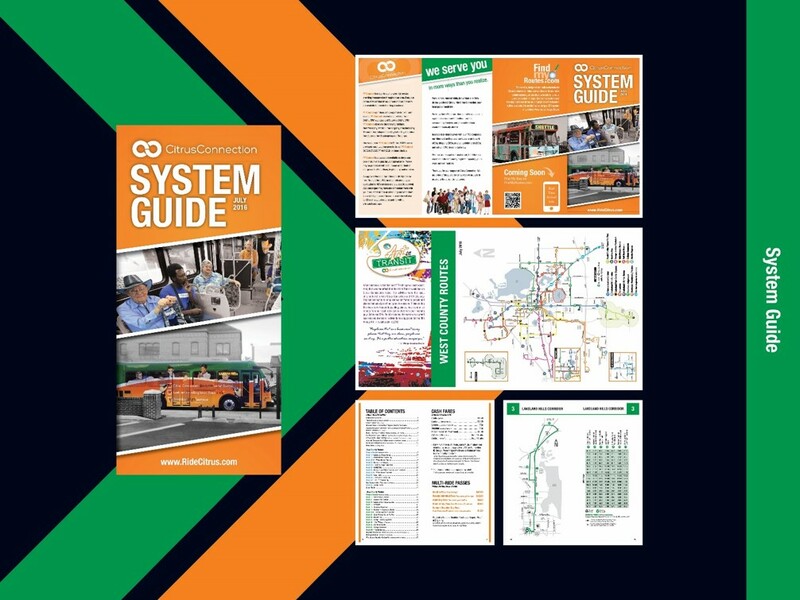 The system guide saved additional money (approx $750), by allowing for multiple brochures. It also brought many positive comments from the riders. The system guide also provided more information and was easier to use. Savings were based on 15,000 quantity ordered. Target Audience: Disabled Community Project Cost: $9,000 Description: PSTA provides demand response transportation services for people who, because of their disability, are unable to independently use the regular, accessible PSTA buses. Traditionally, PSTA contracted with one taxi company and one wheelchair van provider, so DART participants were relegated to only one service provider depending on if they were ambulatory or wheelchair bound. 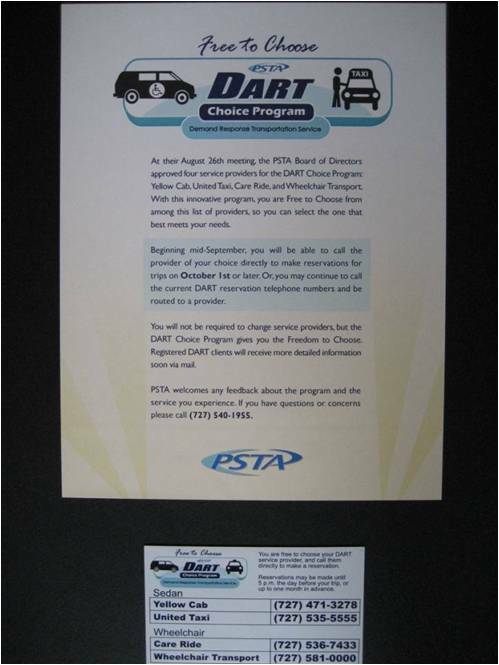 On October 1, 2009, PSTA introduced the DART Choice Program that opened up the program to more service providers, thereby allowing customers to choose the provider of their choice. Direct mail flyers were sent to all 8,000 program registrants informing them that they now had the “Freedom to Choose” their service provider. The flyer was accompanied by a large magnet featuring the taxi and van vendors’ direct phone numbers, so the clients could have the information handy at all times. This change to the program was welcomed by the customer base and applauded by the disability community. The program is running smoothly with few complaints. Several new vendors will be added next fiscal year. Target Audience: elementary and middle school (parents) Project Cost: $5,000 Description: Requests for the the coloring book are non-stop. 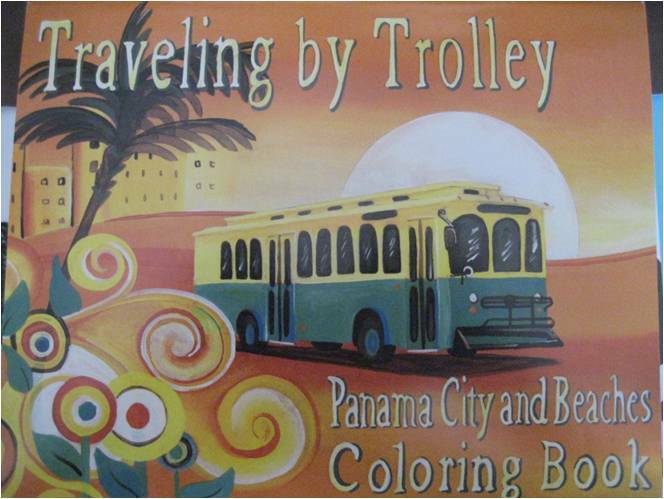 From public officials in various municipalities of Bay County to almost 100 teachers throughout the district, the coloring book has been in high demand. Target Audience: Riders and Potential Riders Project Cost: $3056 for printed materials, plus staff time. Description: Service Modification and Ambassador Program – The Marketing Department devised an all encompassing 32 page booklet detailing service changes made in response to a budget shortfall. This brochure featured the new fares, outlined the new customer friendly ID policy and listed the routes that were combining or had time adjustments. Also included were the specific maps of the routes that were revised. To ensure the changes would be fully understood and that no passengers would be left stranded, PSTA instituted a Transit Ambassador Program. In the later part of September, over 40 PSTA administrative staff members and volunteers participated in a hand holding educational program to provide passengers with information and commuting options in light of upcoming changes. PSTA Ambassadors traveled on buses and staffed transfer points for a total of 360 hours handing out informational brochures and answering questions. Both riders and Bus Operators alike found this hand pocket guide useful in getting up to speed on all of the changes and were really appreciative of her personalized service provided by the Ambassadors. 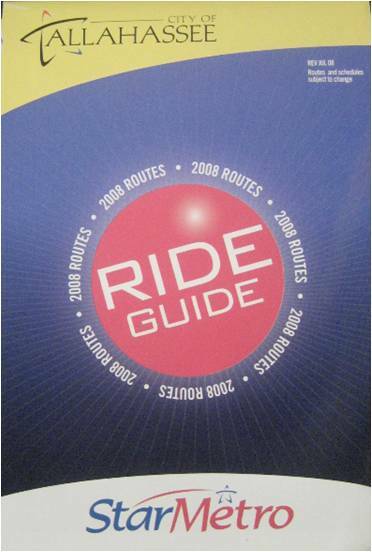 Target Audience: Essentially every rider: 16-45 years Project Cost: design – $1500, printing – $4750 Description: Before January 2008, StarMetro published all of its route information in an 80-page, black and white, ten inch book. Each year the marketing department ordered 85,000 copies at a cost of nearly $33,000. After complaints from riders about the big, bulky, hard to carry book, the marketing department reinvented the Ride Guide. 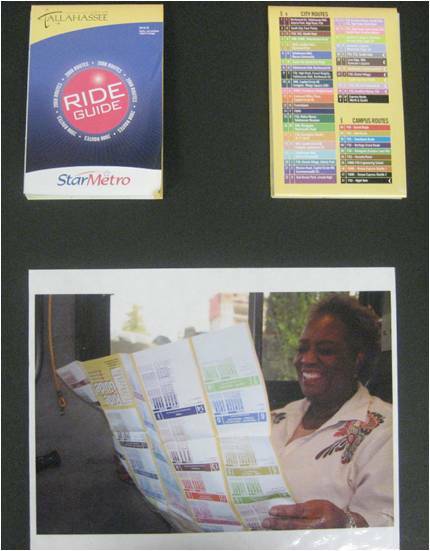 The Ride Guide is a new six panel, full color six inch fold out map – displaying the city map on one side and the time tables on the other side in addition to positive rider comments, StarMetro now only spends $14,250 a year on the Ride Guide printing – 56% less than what was spent last year on the same project.